Hardworking refrigerators are often taken for granted. They run constantly and are arguably the home’s most important appliance. Often, we don’t think about what causes refrigerator damage until it’s too late. As many adjusters know, a damaged refrigerator can quickly become a headache, since damage to this common appliance can require a lot of complex research. You need to know whether or not the refrigerator can be repaired, and you need to establish food-spoilage coverage and estimate total claim costs. Nearly 100% of American homes contain a refrigerator, making it the most commonly owned appliance (CNN Money) in the country. Additionally, 23% of U.S. homes have two or more refrigerators. It’s no wonder that refrigerators were the most common appliance we assessed last year, accounting for 41% of appliance claims. While the average lifespan of a standard, full-size refrigerator is around 17 years (SF Gate), one-time occurrences or a lack of maintenance can drastically decrease their longevity. The two leading causes of refrigerator damage, in claims assigned to StrikeCheck for independent investigations, are high voltage surge and wear & tear. High Voltage Surge was the leading cause of peril to refrigerators assessed by StrikeCheck last year. When there is an increase in voltage from a power surge, it causes an inrush of electrical current within the refrigerator. This surge generates an excessive amount of heat, which can damage multiple parts of the refrigerator. Three components in particular that we often see damaged by a high voltage surge are the control board, the compressor, and the ice maker. The control board is the most sensitive component in the refrigerator. Therefore, it is easily damaged when a surge of electrical current creates excessive heat. 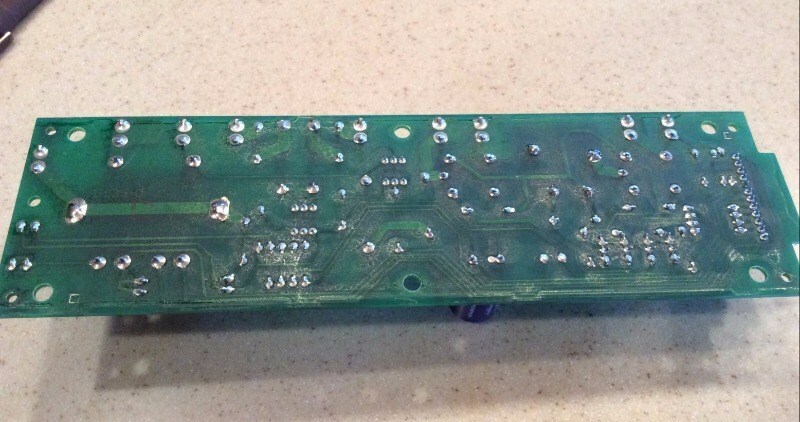 Refrigerators with a damaged control board can often be repaired, as the board is relatively inexpensive and easy to replace on its own. While not damaged as often as the control board, the compressor can also be damaged by a powerful high voltage surge. A strong electrical event can damage the windings that provide the start and run functions of the compressor, causing premature compressor failure. Because the high cost of replacing the compressor, the refrigerator often requires replacement if the compressor is damaged. A voltage surge can also damage the refrigerator’s ice maker. When the inrush of current causes additional heat within the component, it can lead to a short in the ice maker’s electrical connections. The ice maker assembly is relatively inexpensive to replace and, provided the parts are available, a refrigerator with this type of damage can often be repaired. Refrigerators typically last 17 years or longer with little routine maintenance. However, without this maintenance the lifespan can be much shorter. The three most common reasons for failures that we see as a result of wear & tear are a mechanically locked compressor, failure of the fan motor, and dirty condenser coils. The refrigerator’s compressor is the heart of the cooling system; without a working compressor the refrigerator cannot function. As with any mechanical component, the functionality of the compressor diminishes with age. Eventually, the compressor may not turn and will become mechanically locked. When this occurs, you will hear a constant humming sound from the compressor as it attempts to start, and it will be very hot to the touch. 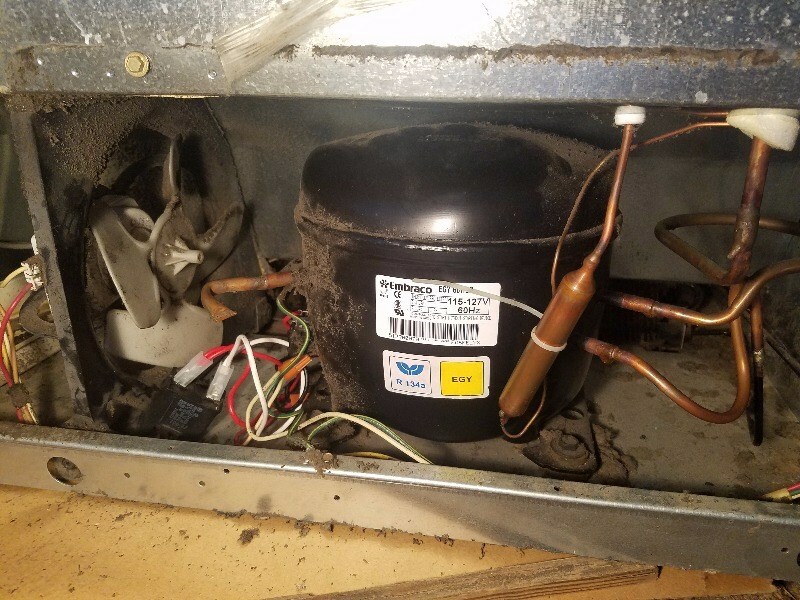 If the compressor is constantly starting because the refrigerator is filled to capacity or the coils are dirty (see section on dirty coils below), this condition may occur prematurely. If the compressor does fail, it is typically cost prohibitive to replace. However, compressor replacement can be the more cost-effective option for high-end refrigerators. The fan motor is another mechanical part subject to failure. With age, the fan motor bearings can become gummed up with dirt, preventing the motor from running. It is often possible to replace the fan motor to repair the refrigerator, provided the part is available. Dirty condenser coils are another common wear-and-tear-related failure. Without a regular cleaning, the coils can become clogged with dirt and dust. This prevents the efficient transfer of heat from the refrigerant to the air, causing the compressor to work harder and fail prematurely. This problem can easily be prevented with routine condenser coil cleaning. Why Is It Important to Thoroughly Investigate Refrigerator Damage? As illustrated in this blog, adjusters need to ensure that claims involving refrigerator damage are thoroughly assessed to determine accurate claims settlements and prevent claims leakage. The difference between the average cost to repair and the average cost to replace is around $1,000, further indicating the importance of properly establishing repair scope. Additionally, with many new “smart technology” refrigerator features, we expect these differences to become even greater. By having an objective expert assess the refrigerator to provide a determined cause of loss, proper repair scope, and accurate recommended settlement amount, adjusters can avoid over- or under-paying on refrigerator damage claims. If you need an expert to asses a refrigerator, you can submit a new claim here. Want more information on refrigerator damage? 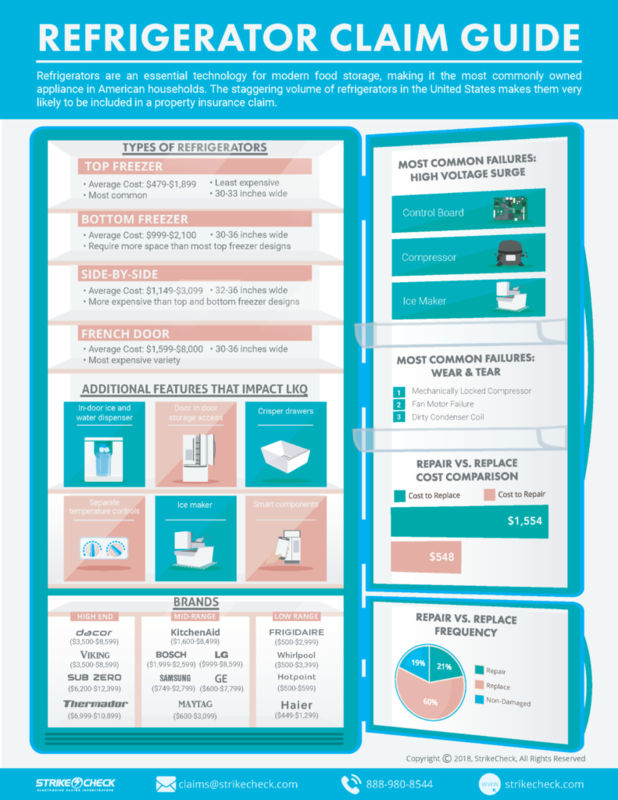 Request your copy of our Refrigerator Claim Guide here.